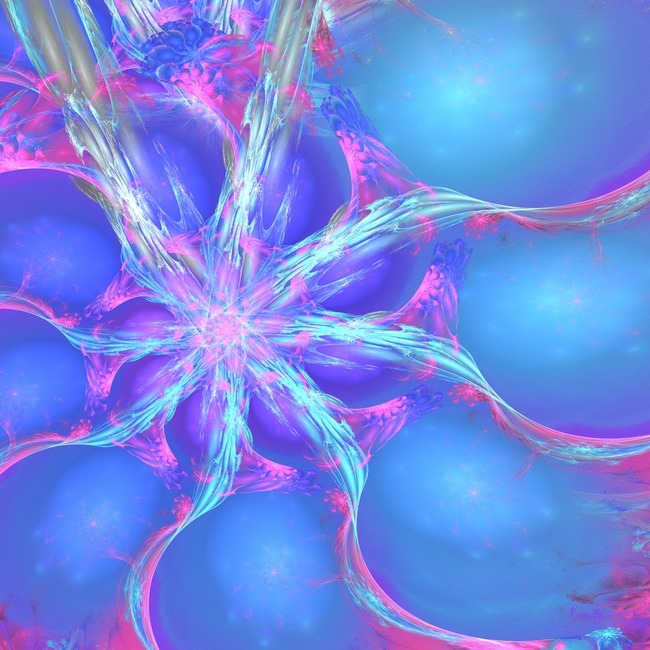 Or if you prefer – tendrils, electrical discharges, plasma fields, firing synapses; what do you see? Some suggestions were bubble gum, Easter eggs, neurons, jellyfish & a Chambered Nautilus using illegal substances (lol!). An Open Edition giclee art print. The nominal size on the unframed print is 24″ x 24″ but it’s available from 8″ x 8″ up to 44″ x 44″. 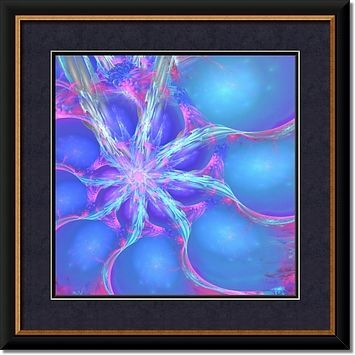 The nominal finished framed size is 34.5″ x 34.5″. The selected art paper is a Premium Luster Photo Paper that produces vivid, lifelike images with highly saturated prints. Its 10-mil base keeps the paper wrinkle-free. The 2″ wide frame, “Metropolitan Black with God” – is a contemporary frame with a raised 1/2 gold inner edge and a subtle red accent line on the outer edge. The top mat is “Midnight”, a deep blue mat with a rich sueded surface (#1601). The second mat, “Blackcore Ivory Black”, is a deep black mat with a black bevel and a lightly textured surface. The glazing is a protective acrylic, which is designed to block harmful UV rays. Again, these selections are easily changed. Kinnally’s full online art gallery can be viewed HERE. (A small assortment of artwork thumbnails can be viewed at the Pixleated Palette.) A wide selection of other artists and artworkÂ can be viewed HERE.